Join us for our annual Pizza Bake Off in the Commons of Avon Lake High School on Thursday October 6th from 5:00-8:00 pm. We will have some of your favorite pizzeria’s serving All You Can Eat fresh pizza. Enjoy and vote on your favorite. Included in the price of your ticket will be delicious desserts. Ticket prices are $10 and children under 12 are $5. Ticket will be available at the door. Think Polio has been eradicated? 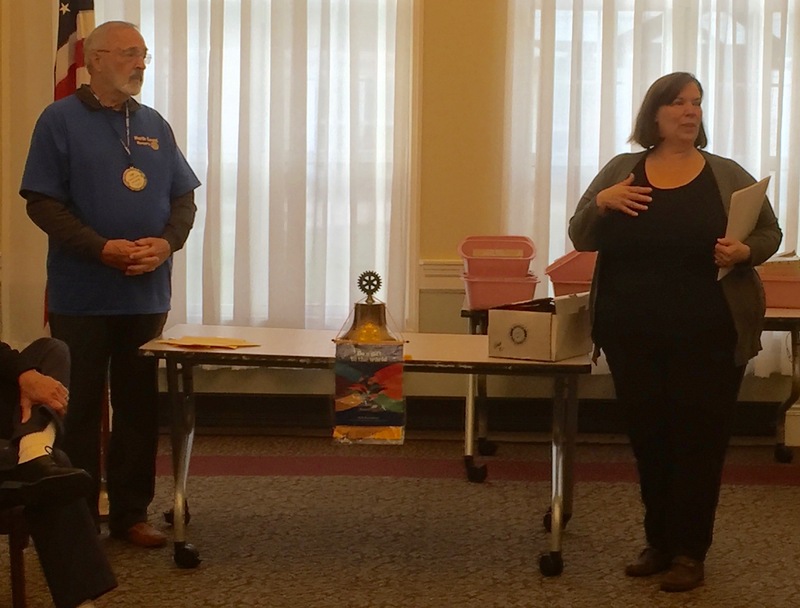 Carolyn Huston, District 6600 chair for the Polio Plus campaign, updated North Coast Rotary Club on the fight. Thirty years ago when Rotary got involved with the eradication of polio, there were 1,000 new cases every day, world-wide. Today, polio is minimally active in a few countries. The goal, of course, is total eradication as was done with smallpox. If all of the polio virus is not eradicated, it would take just 10 years for it to flourish once again, world-wide. It would be, as Carolyn said, just a plane ride away [from the US]. Rotary International is determined to finish off this disease, in partnership with the Bill & Melinda Gates Foundation. Total eradication is measured by no new cases for three years; vaccination would continue for 10 years beyond that. Contributions can be made directly to Rotary International at http://www.endpolio.org or contribute to the Polio Eradication campaign by playing the “Puttin-Out-Polio” golf game at the September 24th Avon Home Depot Safety Fair and the October 6th Avon Lake Great Pizza Bake-off. 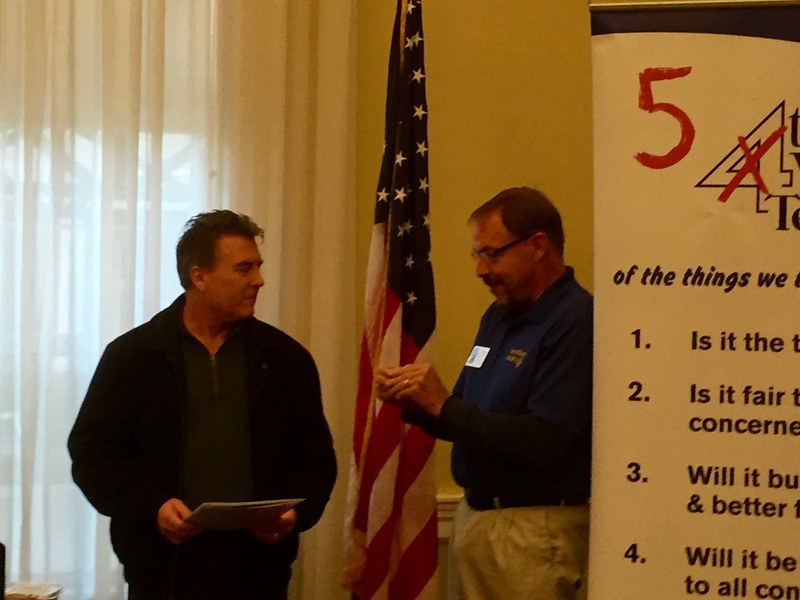 North Coast Rotary Club’s most recent new members include: Pete Sandrev, co-owner of The Wine Room and also Owner/President of Powerhouse Gym (both in Avon), Joe Matuscak of LCADA Way in Avon Lake, and Anne Naumann from Sprenger. 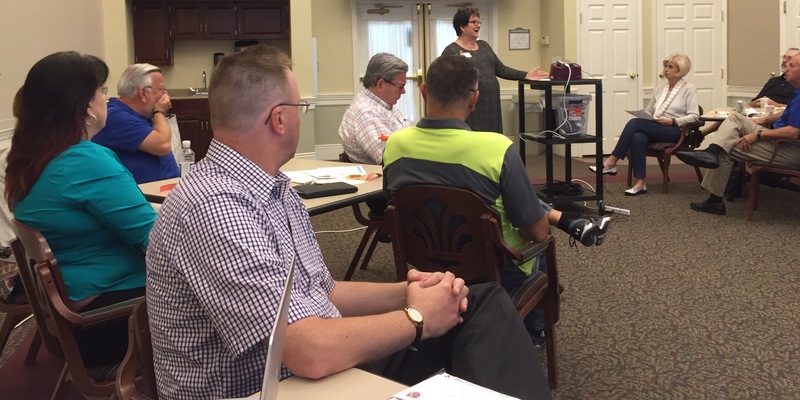 A few others who joined last Rotary year are James Miller, Howard Hanna Real Estate, Ben Hodge, Avon Schools and Staci Zawierucha with the Veteran’s Administration. 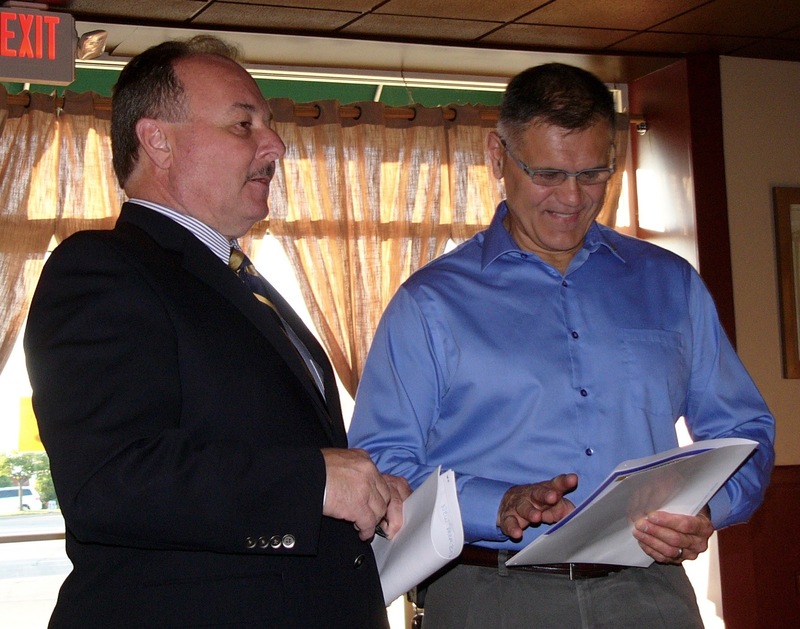 North Coast Rotary Club’s membership has grown from 21 members in 2013 to 35 as of today. Every week at our meetings or events, we share our Rotary stories with guests in hopes of their support as members or friends. Membership growth has allowed us to take on more projects and will help our Club make more financial contributions to the community and region.